Just look at the puppet show in the window! 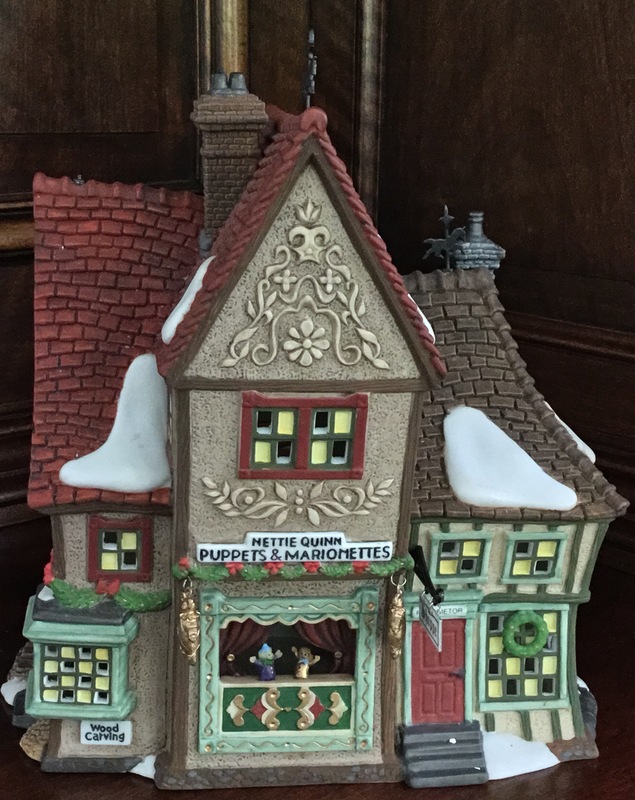 This magical shop is 8 1/2 inches high. Please note that one of the roof ornaments is missing, and this is reflected in its price.